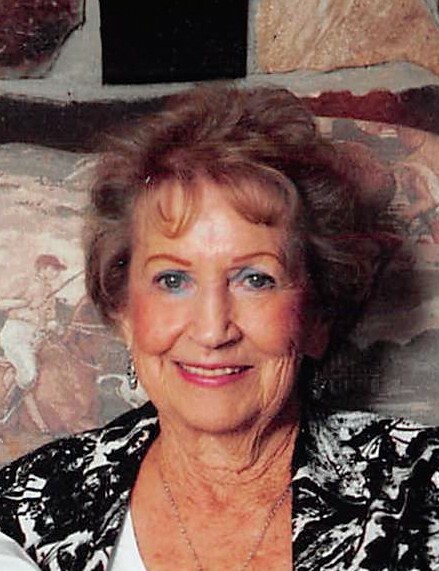 Marlene Hale Christensen passed away peacefully with family at her bedside five days before her 87th birthday. Marlene was born August 8, 1931 to Howard C. Hale and Ella Rose Nielsen in Afton, WY. She had five siblings; Kent, Sharon, Alan, Ron, and Pauline. The family later moved to Clearfield where Marlene lived for the majority of her youth. Marlene was raised during the depression, shaping the character that defined her devotion to family and dedication to hard work. In 1949, Marlene married Marlin J Hill and together began a family in Syracuse. Their children are Christine (Ann) Calver, Denece (Brad) Egbert, Dwayne (deceased), David (Dominik) Hill. Marlene was a dedicated employee, serving as secretary to General Hathaway at Hill Air Force Base and Art Benning, President of Amalgamated Sugar. On July 17, 1976, Marlene married L James Christensen, the love of her life. Together, they made their home in Bountiful. With this union, her family grew to include Curtis Christensen and Todd (Loralee) Christensen. Together Marlene and Jim enjoyed their ranch in Salina, travelling the world, their second home in St George, making many lasting friendships, and treasured every moment with one another. Marlene and Jim are an example of true love. Marlene was a faithful member of The Church of Jesus Christ of Latter-day Saints. She and Jim were sealed as eternal companions in the Salt Lake, LDS Temple. Marlene was extremely talented in quilt-making and made certain that each family member received one of her pieces of art. She cherished every holiday, making Santas and Witches with elaborate faces and handcrafted clothing. Family celebrations were made special by Marlene who paid special attention to each and every guest. Marlene absolutely delighted in the faces of her children and three generations of grandchildren, making Marlene a great-great-grandmother. Our gratitude to the fabulous caregivers at Hidden Valley Assisted Living and Memory Care and Comfort Worx Hospice. Services to celebrate the remarkable life of Marlene will be held Saturday, August 11, 2018 at 11:00 am at Lindquist Ogden Mortuary, 3408 Washington Blvd, Ogden Utah 84401. Friends may visit family on Saturday at the mortuary from 9:30 am to 10:45 am. Interment will be held at the Lakeview Memorial Estates 1640 E Lakeview Drive, Bountiful, UT 84010.